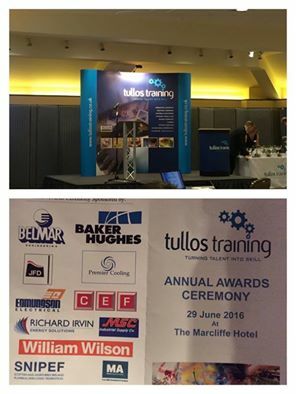 As a sponsor of the Tullos Training Ltd awards night, Premier Cooling Ltd attended a ceremony this evening at the Marcliffe at Pitfodels. We sponsored the air conditioning and refrigeration 1st year, 2nd year and 3rd year awards. We at Premier Cooling Ltd strongly believe in supporting the up and coming engineers of our industry. Congratulations to all three awards winners!